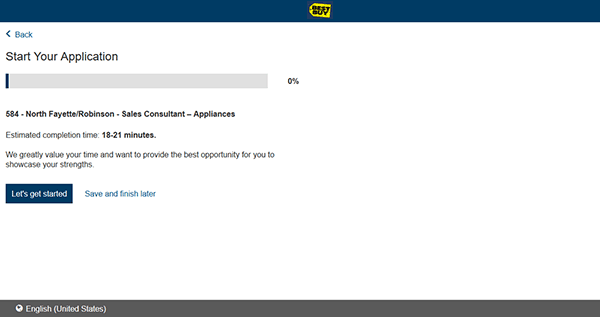 Apply for numerous openings by completing the Best Buy job application. 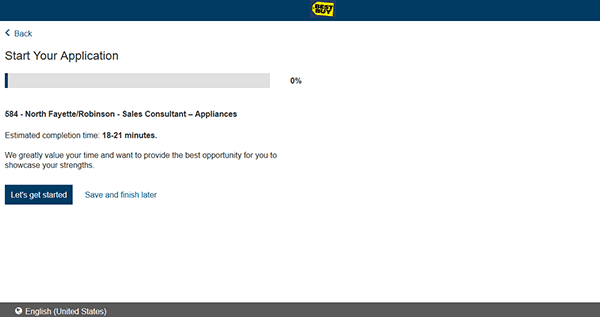 Benefits of working for Best Buy include employee discounts, vacation programs, tuition assistance, and more. Search for available job openings by visiting the careers site (link posted at the top of this page/in the instructions below). Step 1 – Visit the careers website. 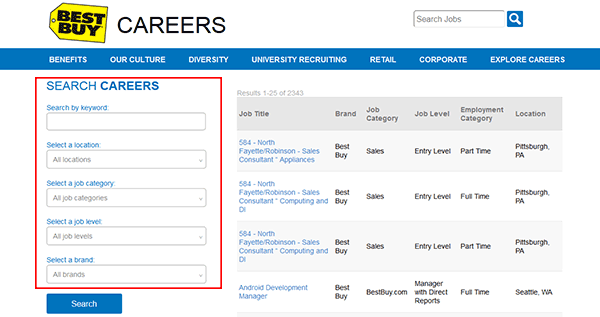 Step 2 – Click the “Search” button to go to the job search page. 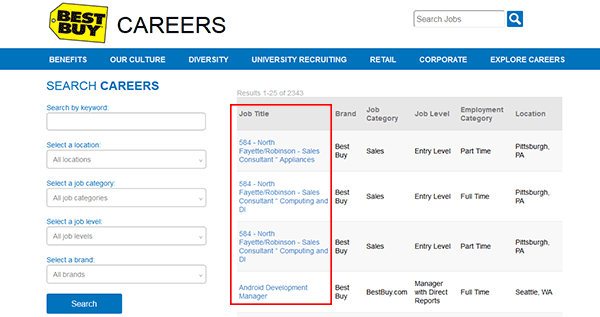 Step 4 – Press the job title of the position you want to apply for. Step 5 – Read the job description. 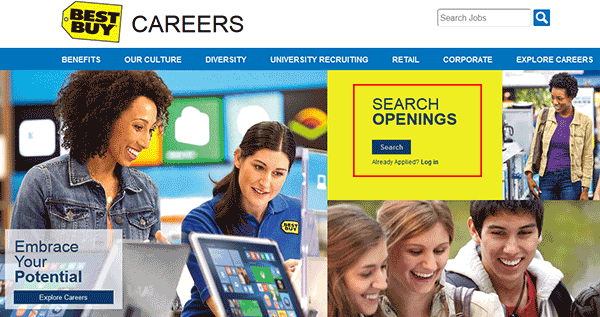 When you’re ready to apply click the “Apply to Job” button. 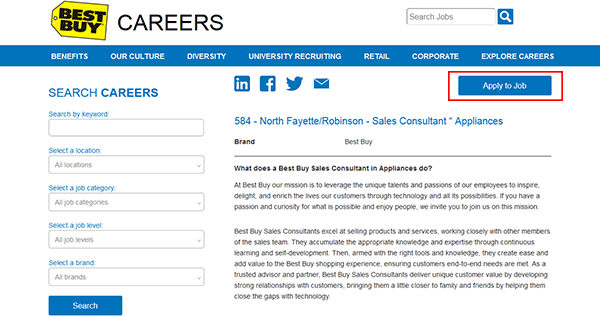 Step 6 – Sign in via your LinkedIn, Twitter, or Facebook account. 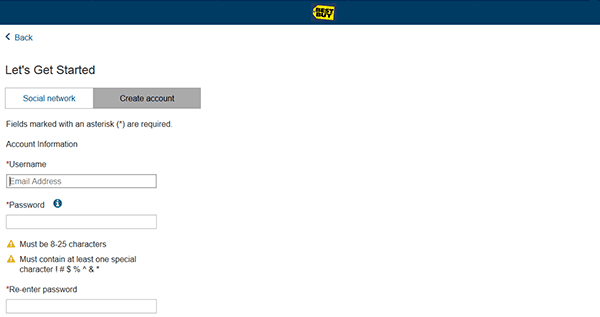 Or create a new account (click the “Don’t have an account yet?” link). 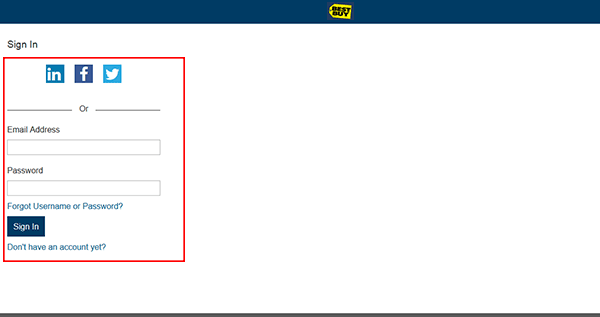 Step 8 – Enter your username, password, and security questions/answers. Click the “Continue” button to load the next section. 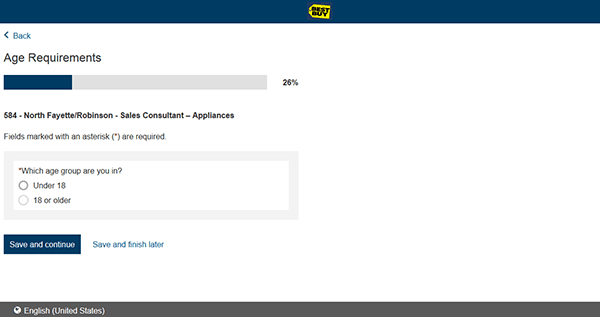 Step 9 – Hit the “Let’s Get Started” button. Note: The application will take approximately 18-25 minutes to complete. 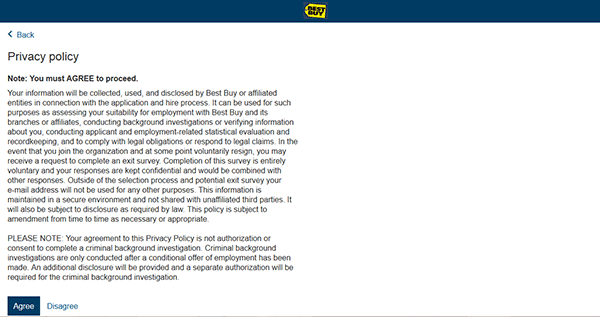 Step 10 – Select if you’re over or under 18 years old. Step 12 – Continue to complete the required sections of the application. Step 13 – After your application has been processed you will be contacted to set up an interview time/date.